Jiu-jitsu.News: The fighters from Krivoy Rog captured medals! 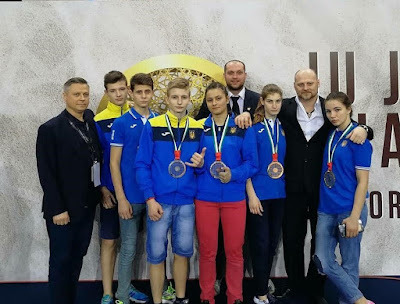 The fighters from Krivoy Rog being the members of the National Team won 2 golds and 2 silvers during the “World Jiu-Jitsu Championship 2018”. – Dmitrii Podust took the second place. Unfortunately, the fighter from Krivoy Rog Nazarii Kulish got injured and was forced to discontinue his participation. As a result, the National team of Krivoy Rog came home with 2 golds and 2 silvers.